Private equity firm Piper today announced a £6m investment in Caribbean restaurant chain Turtle Bay, marking its second investment in its founder Aj Jaya-Wickrema. Turtle Bay, which offers food and drink inspired by the Caribbean, will use Piper’s £6m backing to fund the opening of 20 more outlets across the UK. The chain opened its first outlet in Milton Keynes in 2011 and has since added two more sites in Bristol and Southampton. Founder Aj Jaya-Wickrema has enjoyed previous success in the culinary sector as the co-founder of the Las Iguanas restaurant chain, which was also invested in by Piper. 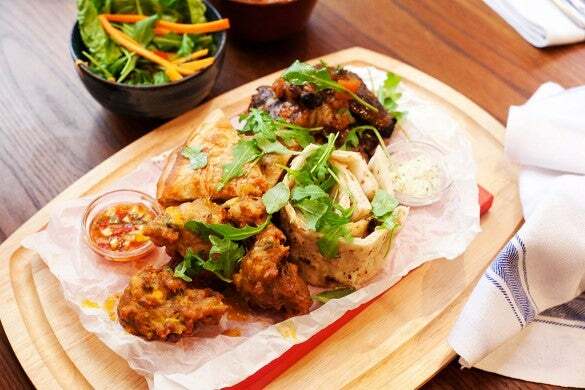 Aj Jaya-Wickrema, founder of Turtle Bay, said: “I’m delighted to be working with the Piper team again. Their deep-rooted experience and understanding of the sector has meant we have been able to complete this deal in a very tight time frame. For me, this was hugely important in ensuring the deal didn’t distract management from our focus on building Turtle Bay into a successful national brand. Peter Kemp-Welch, of Piper, commented: “We have been tracking consumers’ interests in different ethnic food tastes, particularly those with more spice, and so have watched Turtle Bay’s progress from the first opening. Aj has once again created a unique and dynamic offering with huge growth potential in a sector that continues to thrive and innovate.